we can all jump together to the music. Ready? Jump when we do! 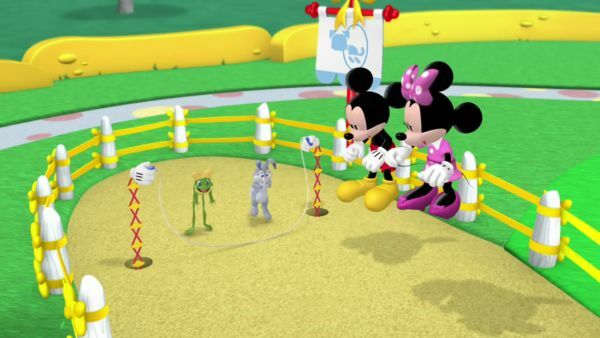 MINNIE: One, two, jump when we do! Three, four, jump once more! Five, six, do your tricks! Seven, eight, you're doing great! Nine, ten, let's jump again! Come on! 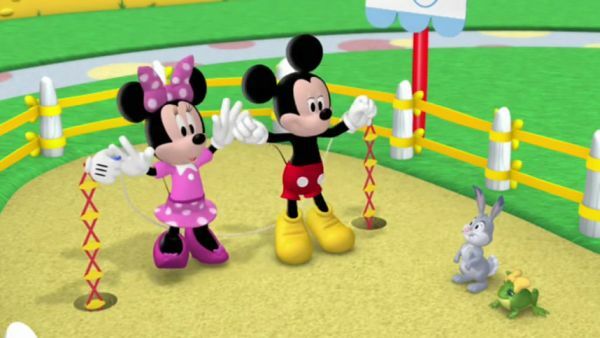 MICKEY MOUSE AND MINNIE: One, two, jump when we do! Three, four, jump once more! Five, six, do your tricks! Seven, eight, you're doin' great! Nine, ten, let's jump again! 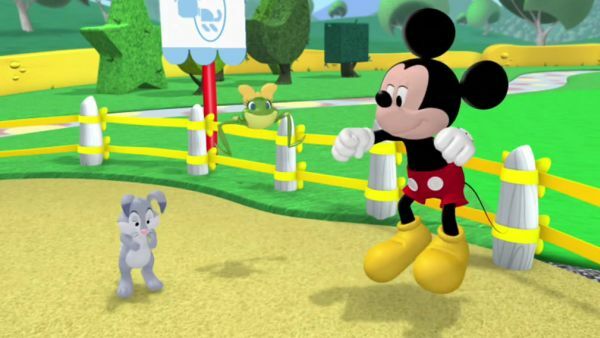 MICKEY MOUSE: Well, jump for joy! Ya did it! 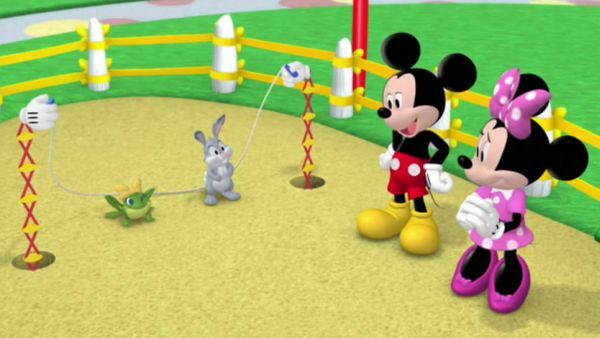 You learned a trick for the pet show! 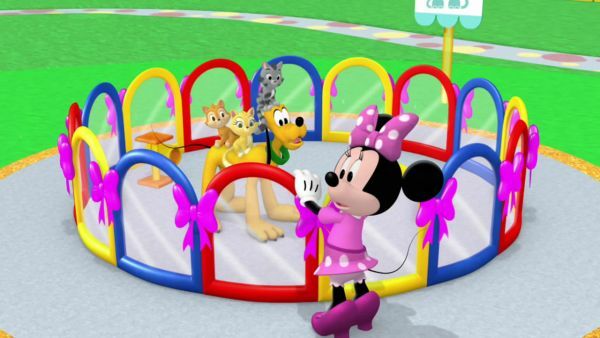 MINNIE: Oh, that was fun! GOOFY: Hello there! 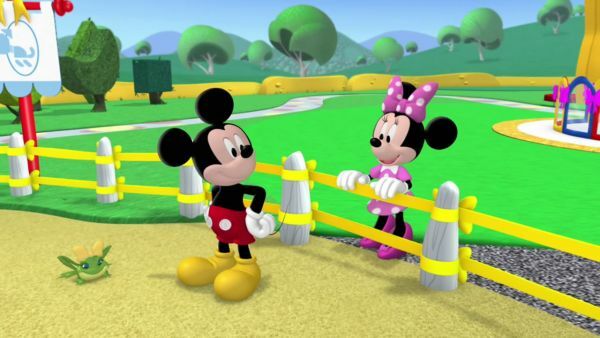 MICKEY MOUSE: Hi, Goof! How's everything going? 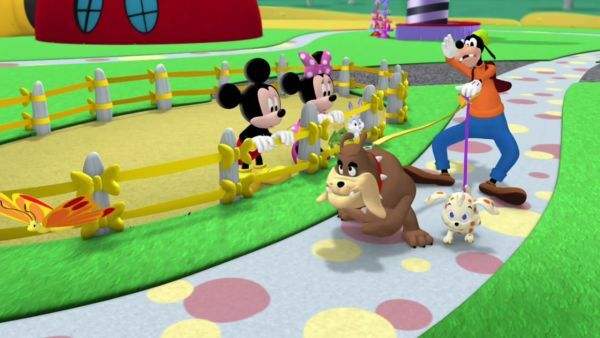 GOOFY: Pet walking is easy breezy! Whoooaaa-whooo-wow-whoa! Wooow-whoa-whooaa! Slow down, doggies! Whoa! Help! 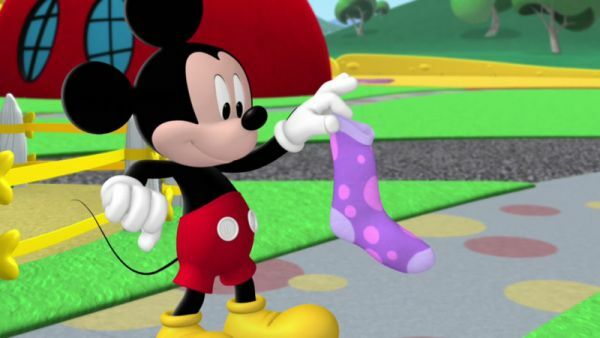 MINNIE: Oh, Mickey!